Heres a shot of my father, who started South Side Sales & Service over on Church street back in 1969. 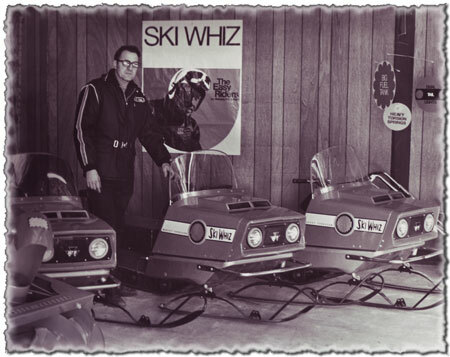 Massey Fergueson and Ski-Wiz, those were the days! 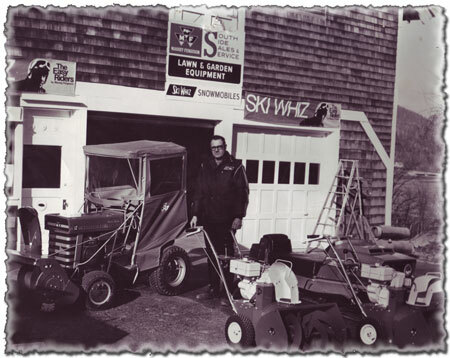 I (Bruce Gaspardi SR) took over the business in 1984, and shortly there after we moved to our current location on Curran Highway in North Adams MA. We have since expanded and added such brands as Polaris, Stihl, Husqvarna, Gravely, Ariens, and Mahindra. We are a family owned small business and have been proudly serving Berkshire County and surrounding areas over the years and we plan to continue doing so into the future. Our priority is maximum satisfaction and top quality service for our customers. Our employees take pride in dealing with our customers on a personal basis unlike the big box stores. We sure have come a long way haven't we?